OPEN HOUSE: 4-14-19 12:00-1:30 PM. 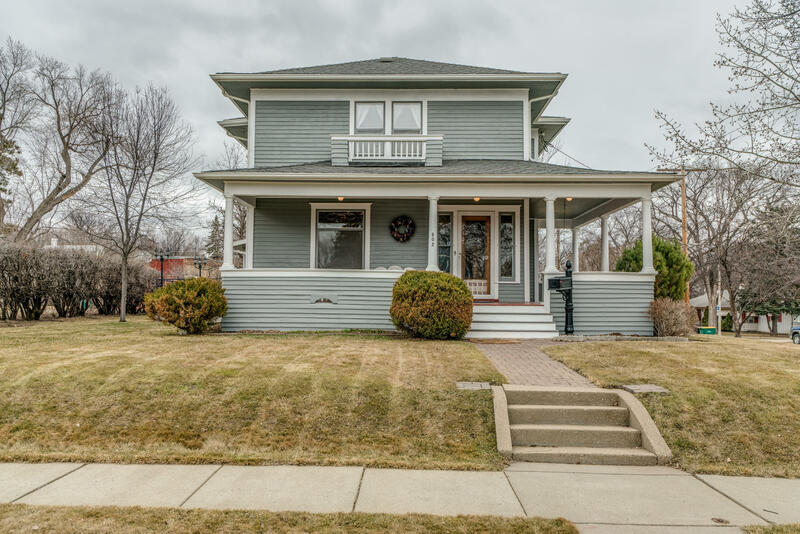 Exceptional two story home in a treasured Bismarck location! Walk through this extremely well-kept historic home to choose your favorite feature. Will it be the beautiful maple flooring, unique woodwork, gorgeous windows (several with added stained glass), huge yard, morning coffee in the sun porch, swinging lazy afternoons away on the front porch, hosting parties on the two-tiered deck out back. . .it's just so hard to decide! This grand home features two large bedrooms with nice sized closets upstairs, plus a bathroom with a claw foot tub. The spacious main level features a parlor, living room, dining room with beautiful built-in hutch, a large kitchen with character--including a skylight and unique newspaper press plate back splash, the heated sun porch, and a full bathroom. In the beautifully finished lower level you will find an office area, family room, 3/4 bathroom, laundry room with utility sink, a large non conforming bedroom and storage galore. Don't forget about the 26x24' double garage and shed as well. See it today!